Home » News » Has Samsung Put Galaxy S8 Fingerprint Scanner at Wrong Position? Has Samsung Put Galaxy S8 Fingerprint Scanner at Wrong Position? Previously, we reported an incredible list of the biometric features that has been included in the Samsung Galaxy S8. Among those next- generation list of security features was the fingerprint scanner that is included on the rear of the phone, just next to the camera. Recently some users also reported problems with Galaxy S8 / S8 Plus AMOLED display, where galaxy s8 red tint issue was observed. According to the official website of Samsung, “You finger goes naturally to the fingerprint sensor on the back” and contrary to it, Galaxy S8’s fingerprint sensor is in a terrible spot. This is not what I am saying but people are not happy about its placement. Check out 10 Official Galaxy S8 / S8 Plus Hands On Videos. The logical thing about the odd placement of the fingerprint scanner is the chance of rear camera lens getting smudged and Samsung knows that very well. So why have the company choose that place to put the fingerprint sensor next to the camera? Well, according to the report from The Investor, “Samsung has poured a lot of money into Synaptics, the partner of the Samsung that worked on the fingerprint touch sensor, but the results were frustrating.” Samsung wanted the fingerprint sensor to be placed in the Infinity Display to make it convenient for the users, but Synaptics failed to develop the technology, as wanted by the company in time, for Galaxy S8 and S8+. Make sure to check out Best Real Fingerprint App Locks for Galaxy S7 / Edge / S8 / S8 Plus. 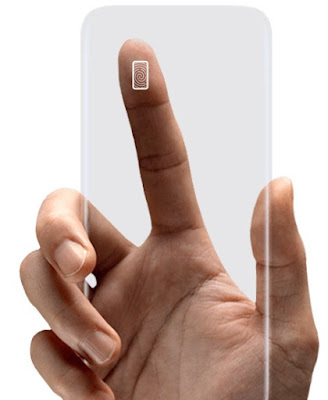 As a result, Samsung had no option other than to relocate the touch sensor beside the rear-facing camera of the phone. Although, there are a number of smartphones like Google Pixels and LG G6 having the touch sensors at the back, but they have it right with the real dead center and exactly where your finger can get naturally. However, Samsung wanted really wanted to be the first smartphone in the market with an integrated sensor on its display, but it seems that they ran of time and destiny didn’t help them. But Apple is reportedly trying to make an iPhone with an on-screen fingerprint scanner and if it succeeds in doing so, Apple would be undoubtedly called to be a debut in such a technology and Samsung would be on the back foot.